We’ve already had the pleasure of seeing the Citroen C4 Cactus in the flesh, but now it’s the public’s turn. As practical as it is striking, this plucky supermini crossover weighs in at under a tonne and even comes with bubble-wrap style Airbumps on its flanks – perfect for anyone who likes to park like a Parisian. Aimed squarely at cool urbanite families it hasn’t forgotten Citroen’s core values though and the C4 Cactus promises a range of efficient engines, clever packaging and comfort - though it stops short of bringing back the firm's famous hydro-pneumatic suspension. Priced between the C3 and C4 models, Parkers will be driving the C4 Cactus very soon - until then you can read more information on Citroen’s funkiest new model here. It might not be as daring or exciting as the C4 Cactus, but the C1 is probably the most important debut on the Citroen stand. There’s no clever concept here though, the C1 is pure simple supermini in the mould of the tiny car that it replaces. Expect it to be joined by its Peugeot 108 (formerly 107) and Toyota Aygo brethren at the show. 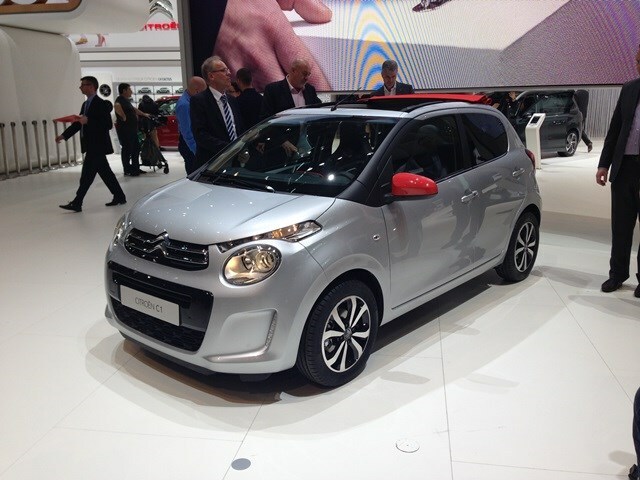 The C1 will come with three or five doors and a new Airscape model with full-length sunroof is also available. It promises to be as exciting to drive as its predecessor, thanks in part to its sub 850Kg kerbweight, and will come with a range of efficient diesel and petrol engines. It’s not even on sale and Citroen are showing a special edition of the C1 – though officially it’s only a concept to showcase the personalisation options available. Called the Swiss & Me (not to be confused with Lotus’ ill-fated Swizz Beatz collaboration) it’s built in homage to the city of its unveil – Geneva. Not a triangular chocolate, piece of holy cheese of cuckooing clock in site the Swiss & Me is marked out by its red and white colour scheme and bodystyling upgrades including wing extensions, alloy wheels and central exit tailpipe. 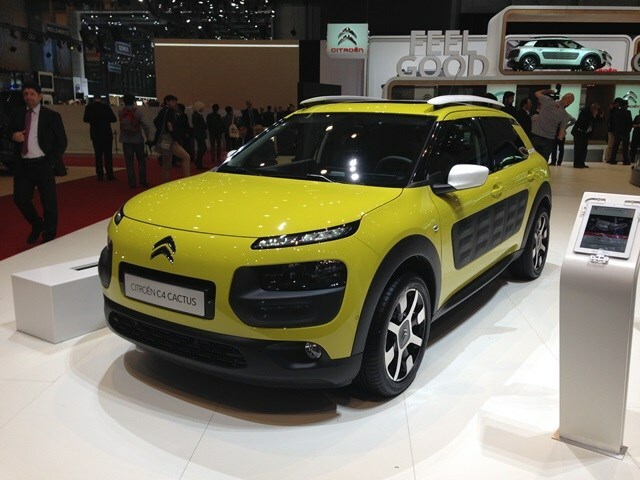 Did you know the most popular review for the C4 Cactus range is the Citroën C4 Cactus Hatchback review.